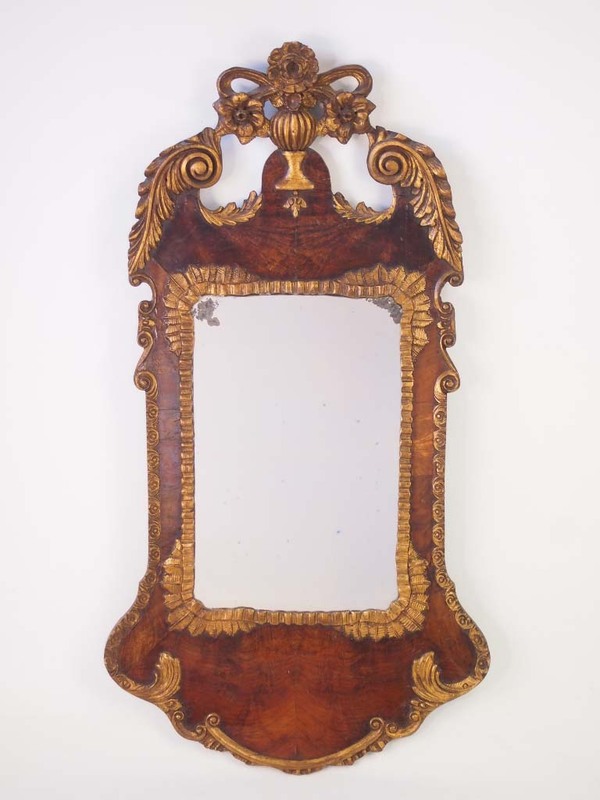 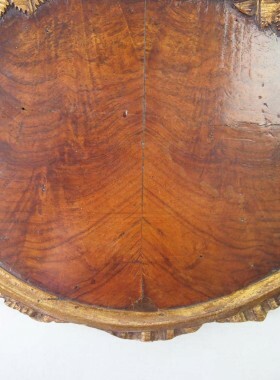 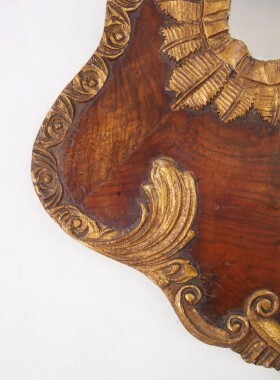 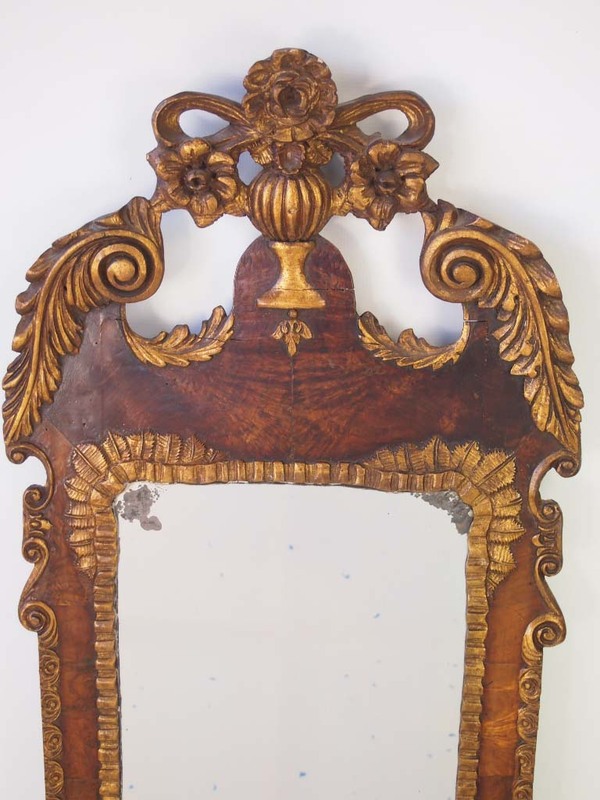 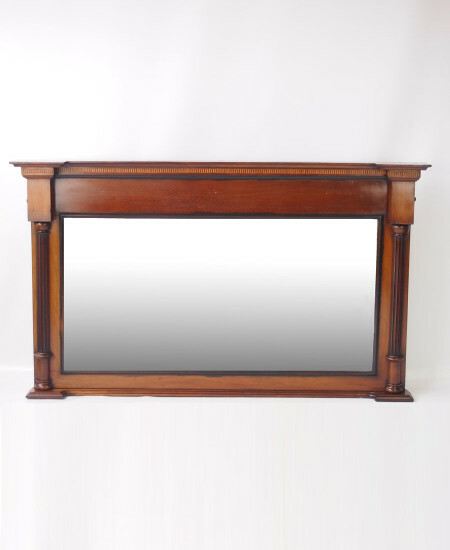 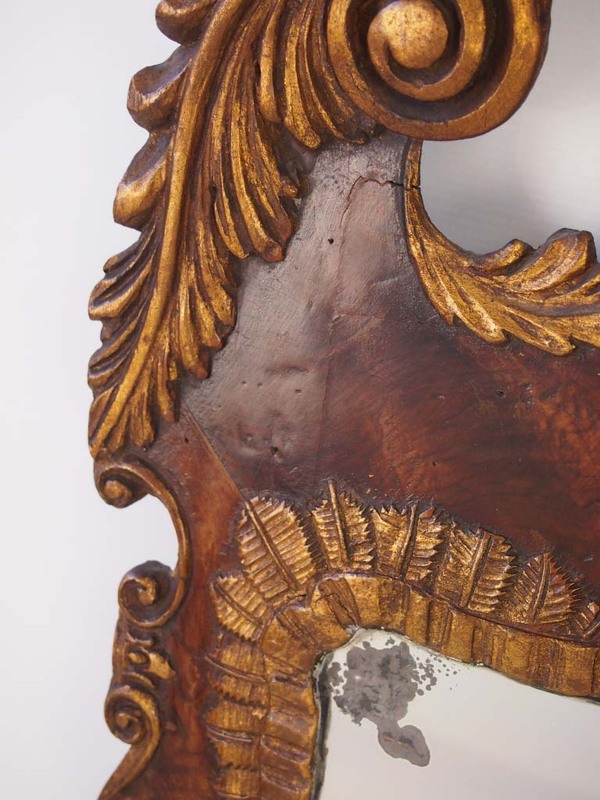 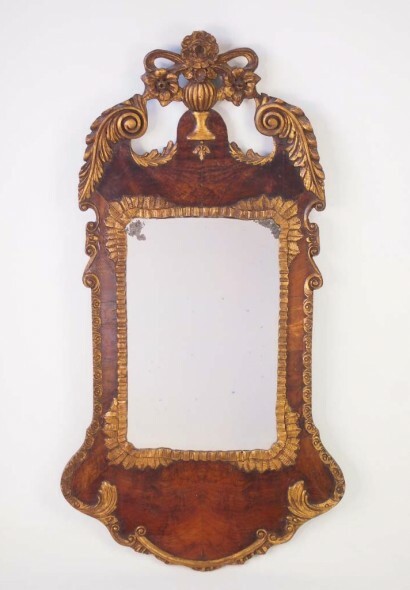 A very decorative large antique late Victorian walnut and parcel-gilt mirror in George II style. 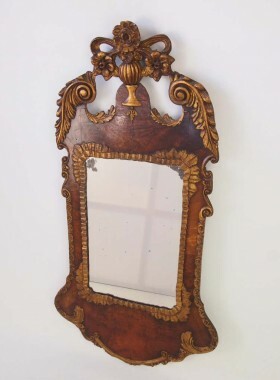 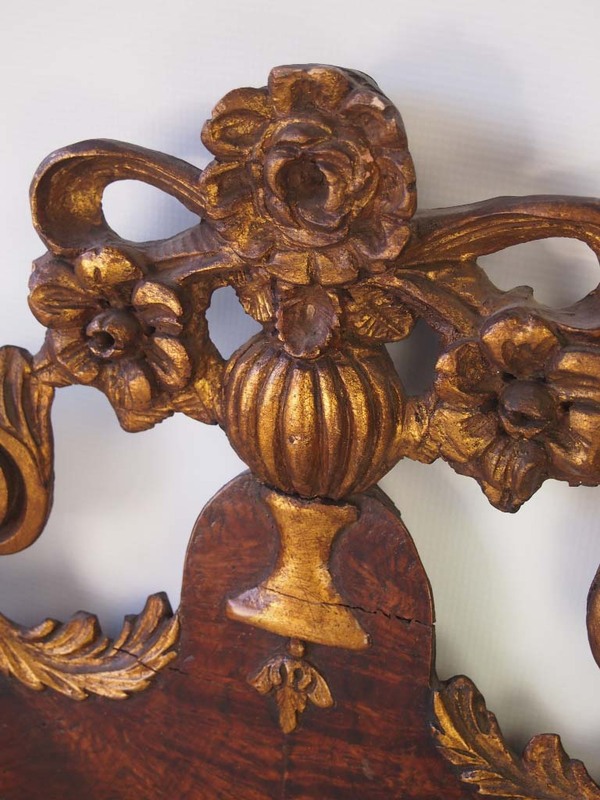 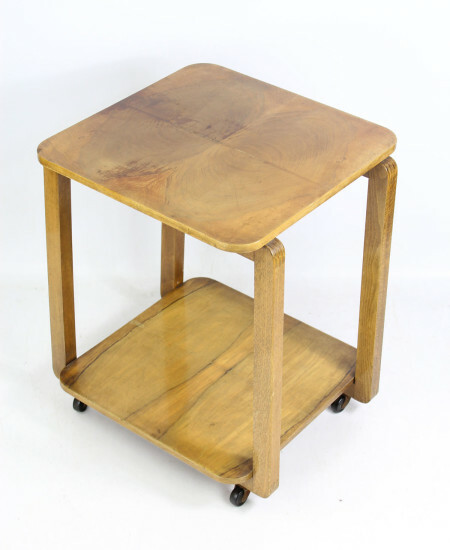 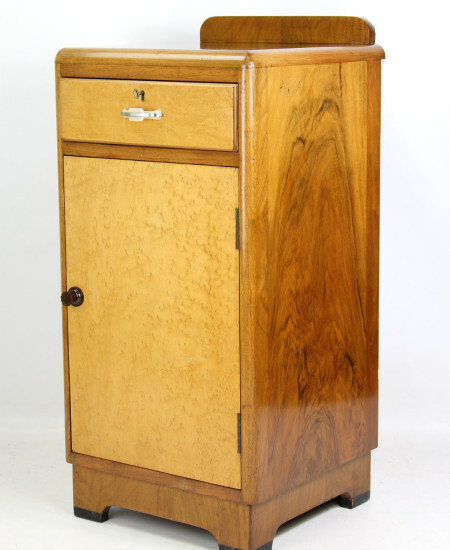 Categories: Antique Mirrors & Lighting, Antique Walnut Furniture, Victorian Furniture. 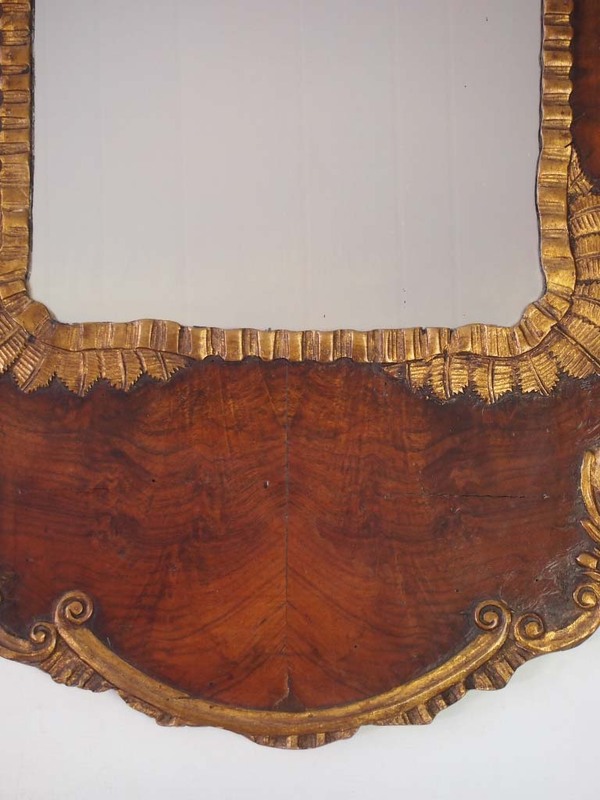 A very decorative large antique late Victorian walnut and parcel-gilt mirror in George II style. 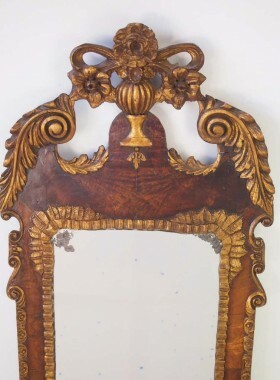 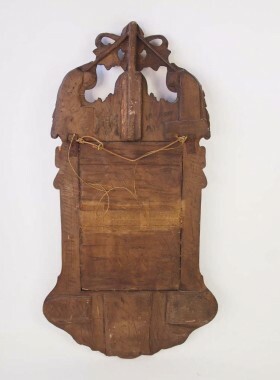 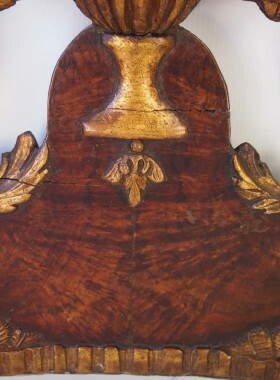 The oblong plate in a gadrooned and shaped frame with a compound swan-necked pediment centred on a flower vase. 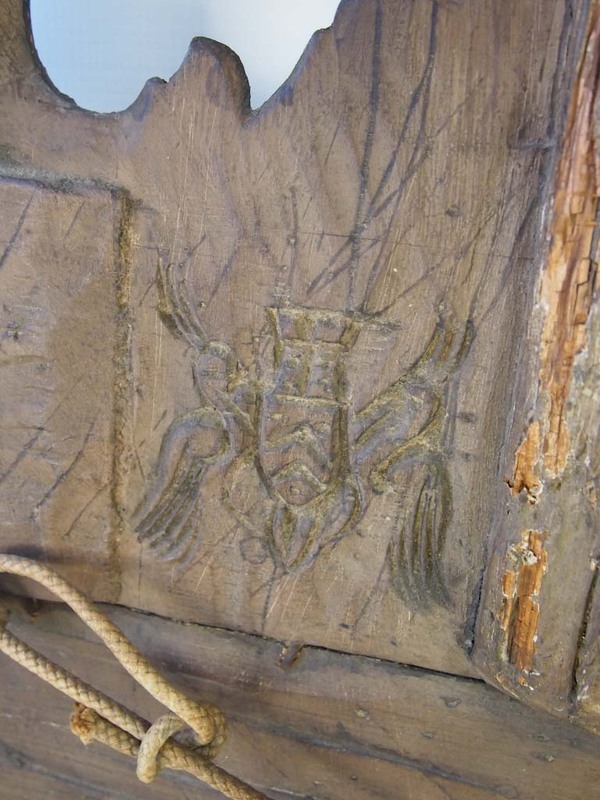 Marks and scuffs commensurate with age. 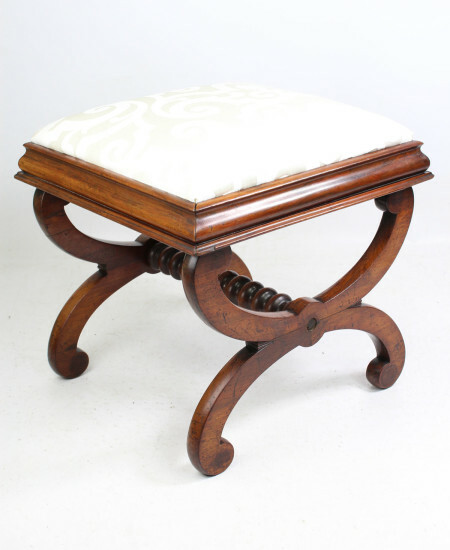 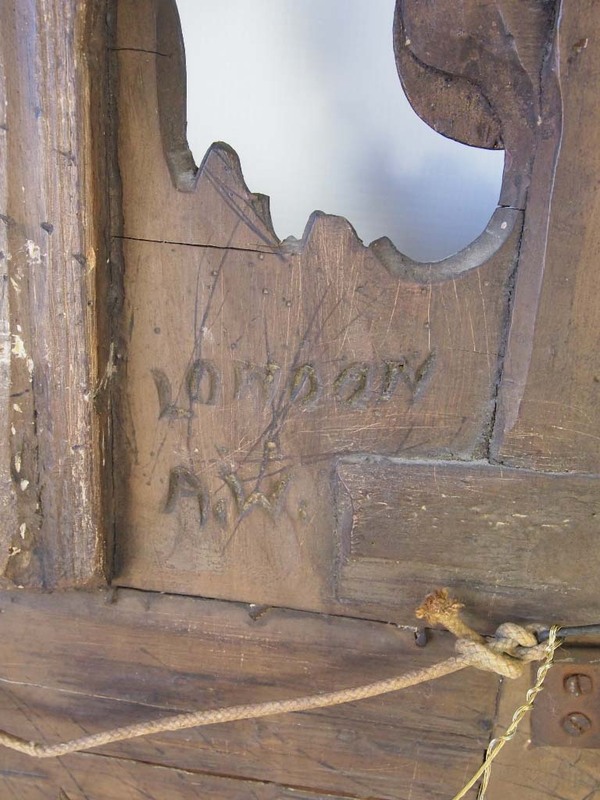 Generally good condition with some typical old small splits to the vulnerable frame. 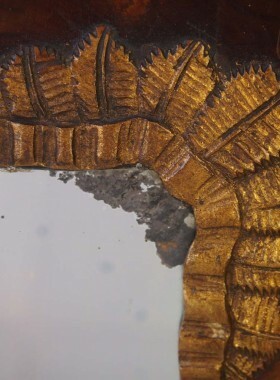 The mirror plate has some foxing and loss of silvering (see photos).